« I’m all Stushed Up! Can I have some Orange Jews, please? Sometimes it’s crazy to know that there’s a new tee label, whose designs are based on Jews. On teh other hand – you wonder how such company wasn’t already established? However, I’d like to introduce you a new T-shirt company, called Challah Clothing. Whether your a “Hebrew School Dropout” or you just want to “Fill Up My Cup…Mazel Tov!” Challah Clothing has the shirts for you. Upon visiting their website, I was absolutely blown away by the shirt called “Orange Jews”, I loved the bitter-sweet irony behind that design. Plus, I like orange tees (not to mention orange juice)! Here are some of my picks. All Challah Clothing designs are printed onto American Apparel shirts, so you bet you get a quality for your money, speaking of which – shirts are priced $18, which is sweet, I think. And when you order from Challah, make sure to send ’em the pictures of you, wearing their shirts. It’s always nice. I don’t care who you are, that OrangeJews shirt is hilarious. Great Picks dude! I really liked them. Very nice design. 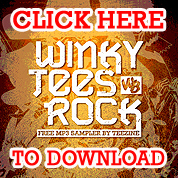 For the bestrock t-shirts visit our website http://www.thatsmyshirt.com . Yeah lol, the orange jews one is really funny, not sure i would dare wear it out in public though! I like the OJews shirt. Dope!